Today at the press junket for Terminator: Genisys, Arnold Schwarzenegger met Franchise Fred. It’s a good time too, because after returning to the role of The Terminator, Schwarzenegger is set to play Conan the Barbarian again. 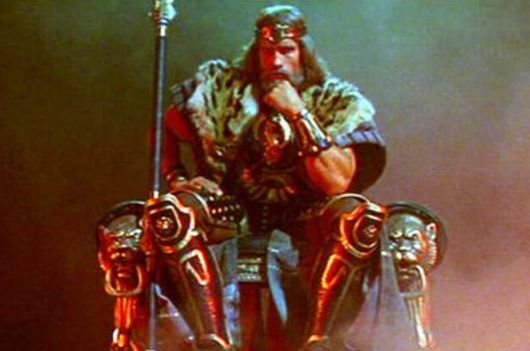 Conan the Barbarian ended with Conan sitting on the throne after years of battle. The Legend of Conan will fulfill the promise of that epilogue. More on Terminator: Genisys this week on Nerd Report.